As brands are increasingly turning to influencer-created content to highlight their products and services, it’s easy to see how certain verticals are particularly well-suited for this type of marketing. Beauty, food, crafts, decor and fashion are just a few. These categories are often aspirational in nature, highly visual and offer broad appeal. Bloggers, Instagrammers and other social media stars have become incredibly skilled at seamlessly working sponsorships into their carefully curated content by using their signature style to showcase brand messaging. But what about products that don’t lend themselves quite so perfectly to glamorous photos and traditional lifestyle copy? Certainly influencer marketing is not the best vehicle for non-visual products — say, an adult diaper brand or a pre-tax savings account, right? Wrong! The truth is, using real voices to communicate brand benefits works for even the trickiest of topics, as I’ve seen firsthand while running an influencer marketing agency. Today’s audiences are looking for honesty and realism among all those stylized scenarios portrayed online. Influencers who can present products with authentic, relatable content are ideal for creative brand outreach for unconventional products in a way that truly resonates. Brands that have executed successful influencer marketing campaigns run the spectrum from mental health awareness to winter windshield covers. When influencers approach these topics with honesty and integrity, audiences find branded content believable and interesting, resulting in high levels of engagement. 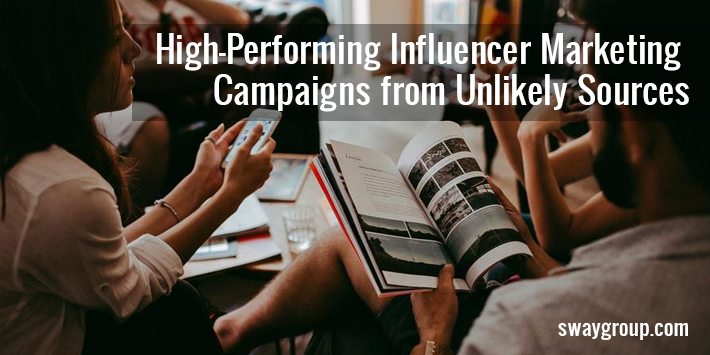 Click here to read more on our CEO Danielle Wiley sharing some examples of challenging topics that resulted in high-performing influencer marketing campaigns. Previous PostEvergreen Content: What is it? Why do I care?